Mouthwash and Alcoholism: Can Drinking Mouthwash Derail Your Recovery? Overcoming alcoholism takes a great deal of determination and tenacity. Recovering alcoholics must do everything in their power to avoid falling off the wagon. Yet, something that is found on nearly every bathroom shelf in America could easily derail recovery from alcoholism. Many people are surprised to learn that the alcohol in mouthwash can cause intoxication. Here is what anyone battling an addiction should know about the alcohol in Listerine and other brands. What does the alcohol in oral hygiene products do? Does drinking mouthwash have side effects? Can drinking Listerine kill you? Are you drinking oral hygiene products to get drunk? What can alcoholics do to avoid the effects of drinking mouthwash? How Much Alcohol is in Listerine? Alcoholic beverages contain a type of alcohol called ethanol. Ethanol is also found in many commercial products such as hairsprays, hand sanitizers, perfumes, cough and cold remedies, and mouthwash. Does Listerine have alcohol? And, importantly for recovering alcoholics, can drinking Listerine cause a relapse? The alcohol content in Listerine is higher than many popular alcoholic beverages such as beer, wine, and liquors, making it extremely potent. In fact, a 30-60 second swish of an oral hygiene product can trigger a positive breathalyzer test without actually consuming an alcoholic beverage. People recovering from alcoholism may not know the effects of drinking mouthwash. The truth is that a recovering alcoholic can quickly become addicted to drinking mouthwash to get drunk. Alcohol in Mouthwash: What Does It Do? The label on a bottle of mouthwash contains stern warnings. Keep out of reach of children. If swallowed accidentally, contact a poison center. This is because, in addition to ethanol, oral hygiene products contain a number of potentially toxic ingredients such as hydrogen peroxide, chlorhexidine gluconate, and methyl salicylate. A person battling alcoholism struggles with many demons. Drinking mouthwash to get drunk side effects is not uncommon. Studies have shown that many alcohol abusers turn to non-beverage ethanol to feed their need. Alcoholics drinking mouthwash are in very grave danger, not only for a relapse but adverse effects on their health. Can drinking mouthwash kill you? The answer is yes. By consuming Listerine to get a fix, an alcoholic is at risk of injury or death. Mouthwash with alcohol is dangerous because it can quickly become a secret vice. Alcoholics can conceal their addiction from family and friends. 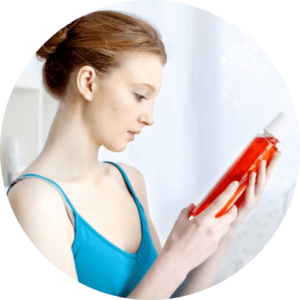 Personal care products are easily available at thousands of convenience stores and supermarkets in America and around the world. They provide inexpensive 24×7 access to alcohol. They are easy to buy and hide. They do not give the user a distinct smell of alcoholic drinks. Oral hygiene products are not subject to the same restrictions as alcoholic beverages. Underage drinkers can purchase them with no questions asked. Even a glimpse of the alcohol content on a bottle of mouthwash can be a temptation for a person in recovery. Family and friends should watch out for red flags that a person in recovery from addiction may be abusing an oral hygiene product. People in recovery who do not have easy access to traditional alcoholic beverages, such as individuals who are incarcerated, serving in the military, or hospitalized long-term, are at increased risk of abusing oral hygiene products. If a recovering alcoholic wants to maintain oral hygiene and avoid tooth decay, bad breath, and plaque build-up, an alcohol-free product is a good choice as it does not put the user at risk of relapse. If you or someone you love has questions concerning the abuse of oral hygiene products, call our free helpline (888)-459-5511 for more information. Helpful advisors are available to answer your questions, provide you with information about de-addiction programs, and, ultimately, guide you towards the help you need to achieve and remain in recovery from alcohol addiction. Calls are always confidential, private, and secure. Addiction Resource » Alcoholism: Everything You Need to Know About the Addiction » Resources for Alcoholism: Getting Help to Beat Addiction » Mouthwash and Alcoholism: Can Drinking Mouthwash Derail Your Recovery? Can an alcoholic have “zero alcohol” listerine? I don’t want to trigger anything. Hi Sarah. Yes, believe it’s okay. When I first quit, I got too tempted to swallow when I used mouthwash with alcohol in it, so I switched to the non alcoholic kind for a year or two. Now, I can use the kind with alcohol and it’s okay, but it can still be risky if you still get cravings. If you stick with mouthwash with no alcohol, you should be fine as it’s the flavor of the alcohol that can be a trigger.